Is Now The Right Time To Install A New Air Conditioner? 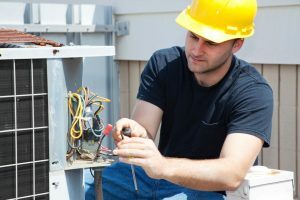 Air conditioner problems are to be expected every now and again, but sooner or later you’re going to need to replace your air conditioner entirely. Most people tend to do this during the spring and focus on getting their homes ready for the heating season during the fall. Just because that’s the way most people do it, though, that doesn’t mean that it is the best way for you to do it. In fact, you might want to replace your air conditioner now, rather than wait for spring. Take a look below at why replacing your air conditioner this fall might be a good idea. Posted in Air Conditioning | Comments Off on Is Now The Right Time To Install A New Air Conditioner?